Embrace the fruity goodness of coconut and fruit sugars in our luxurious cleansing mousse. This biodegradable mousse softens the skin and protects its oil balance during every day cleansing, a vital step in our skin care regimen to maintain clear skin. Our cleanser contains a high concentration of Vitamin E offering essential protection from the sun’s rays while increasing the efficiency of sunscreen and lessening the severity of sunburn. 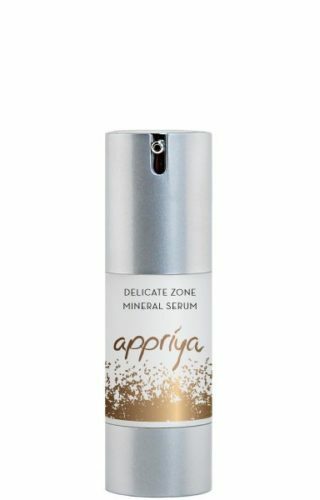 Appriya Mineral Cleansing Mousse is ideal for sensitive skin to dry or oily complexions with its nourishing and healing qualities. Lightly rinse the face and neck with tepid water. 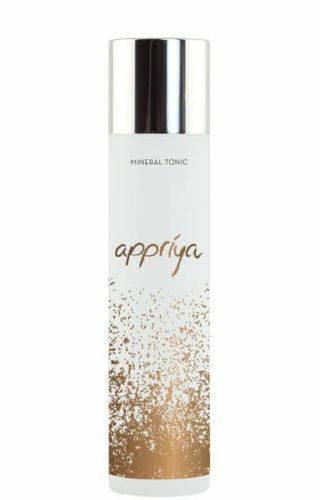 Massage one pump of our Mineral Cleansing Mousse onto the dampened areas. After gently massaging the mousse onto the face and neck in a circular motion, rinse thoroughly with lukewarm water. Pat your skin dry. Repeat during your day and night skincare routine. Derived from coconut and fruit sugars, provides hydration and helps maintain skin elasticity while controlling oil production. Derived from the Comfrey Root-this botanical extract is an excellent soothing and healing agent. Nutrient and antioxidant that defends against free radicals and other environmental damaging effects.